The Emoji Movie Teaser Trailer! Sony Pictures Animation has revealed The Emoji Movie teaser trailer, which you can check out below! For the first 24 hours, the trailer will be optimized for mobile users and best viewed on the phone. An extended version of the trailer will play in theaters nationwide this Wednesday. The teaser trailer features the vocal performance of Steven Wright, who joins the cast as Mel Meh, the father of T. J. Miller’s character, Gene. Formerly titled “Emojimovie: Express Yourself,” the animated comedy also stars Emmy and Tony award winner James Corden (Into the Woods) and Emmy nominee Ilana Glazer (Broad City). Hidden within the messaging app is Textopolis, a bustling city where all your favorite emojis live, hoping to be selected by the phone’s user. In this world, each emoji has only one facial expression – except for Gene (T.J. Miller), an exuberant emoji who was born without a filter and is bursting with multiple expressions. Determined to become “normal” like the other emojis, Gene enlists the help of his handy best friend Hi-5 (James Corden) and the notorious code breaker emoji Jailbreak (Anna Faris). Together, they embark on an epic “app-venture” through the apps on the phone, each its own wild and fun world, to find the Code that will fix Gene. But when a greater danger threatens the phone, the fate of all emojis depends on these three unlikely friends who must save their world before it’s deleted forever. 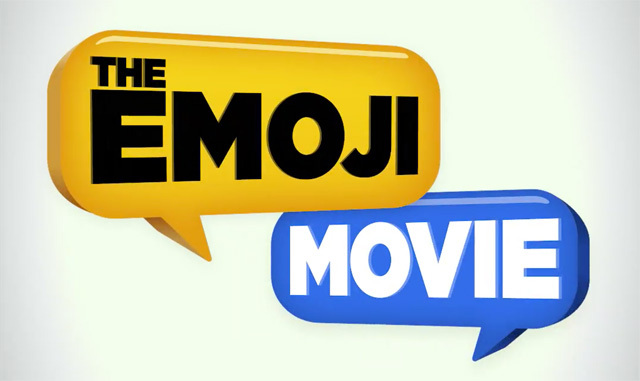 Sony Pictures Animation’s The Emoji Movie, which will take place through some of the most popular and universally recognized smartphone apps, is produced by Michelle Raimo Kouyate (Puss in Boots, Silver Linings Playbook) and will be released in theaters by Columbia Pictures on August 4, 2017. What do you think of The Emoji Movie trailer? Let us know your thoughts using emojis in the comments!